Blend 30 by Alfred Dunhill is a Aromatic Fougere fragrance for men. 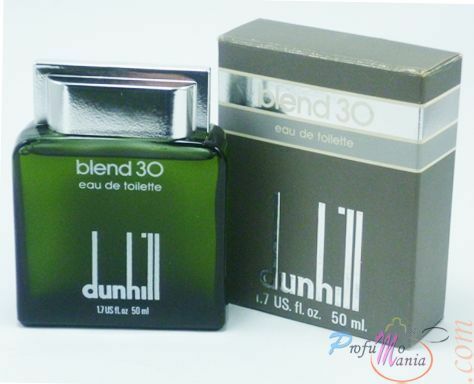 Blend 30 was launched in 1978. Top notes are lavender, clary sage, neroli, rosemary, bergamot, lemon and sour cherry; middle notes are geranium, sandalwood, carnation, cedar, jasmine, patchouli and palisander rosewood; base notes are oakmoss, hay, musk, ambergris, incense, tonka bean and leather.